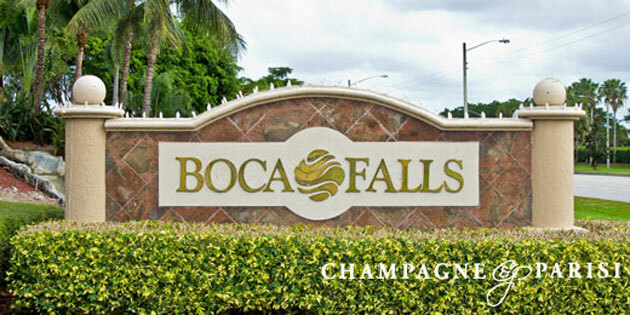 Boca Falls is a guard-gated community comprised of 772 single family homes. Boca Falls has a variety of floor plans to choose from including 1 & 2 story, luxury homes with 3 to 7 bedrooms. Many of the homes offer private pools and lake views. The on-site management team makes sure that the community is beautifully maintained. Amenities at Boca Falls include a state of the art fitness center, men's and women's locker rooms, an Olympic size pool and kiddie pool, shaded children's playground, basketball, tennis courts and party room with full kitchen for entertaining. Boca Falls is an active tennis community with men's and women's teams and organized tournaments year round. Located in the western section of Boca Raton, Florida, Boca Falls is highly sought after for its "A" rated schools. The elementary school, Waters Edge, has its own private gated entrance that leads right in the neighborhood. The middle school, Loggers Run and the high school, West Boca High, are both awarding.